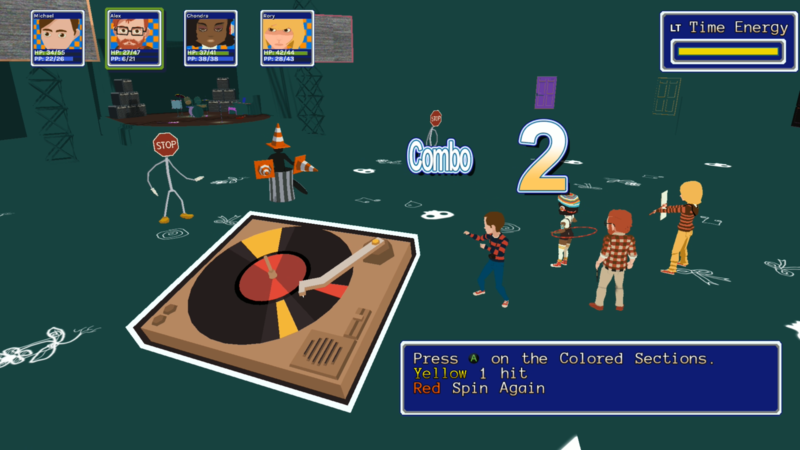 HomeReviewsNintendoGAME REVIEW | A Deep, Trippy Revisit To "YIIK" In Fun "Post-Modern RPG"
I'm a kid of the nineties, where grunge rock, ska and gangsta rap were all the craze, and filmmakers like Richard Linklater and Kevin Smith spoke to their audiences on the same level. Video games were slowly becoming an art form, as it transformed visually between 16-bit graphics on the Genesis all the way up to 128-bit Dreamcast. There was also something new entering the homes called the World Wide Web, which gave way to millions of kinds of (mostly true) information. 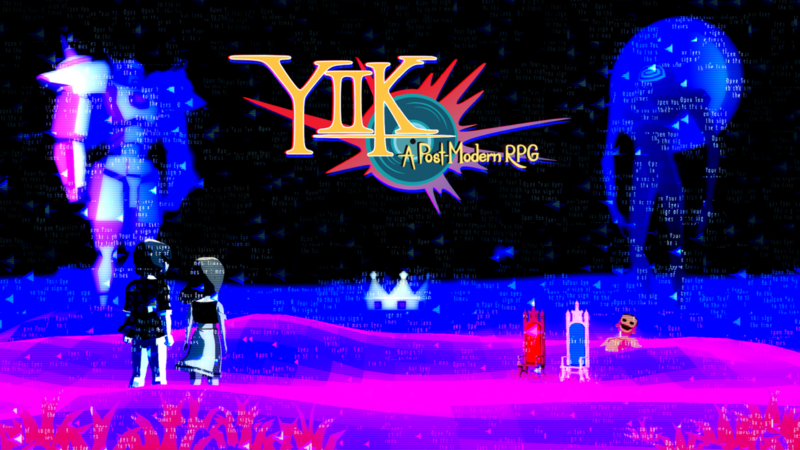 So perhaps it's because I experienced all of this growing up that I have a soft spot for ACKK Studios' YIIK: A Post-Modern RPG. 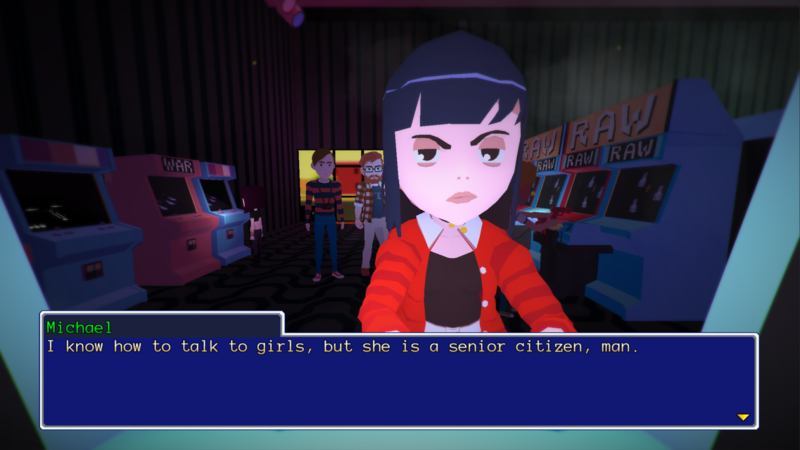 In the town of Frankton, New Jersey, the story of YIIK: A Post-Modern RPG places its focus on the newly-graduated student Alex. Stuck between the college and adulthood life, Alex has no idea what he plans to do for the future at hand. While walking around town, he comes across a cat that leads him to a strange abandoned building. 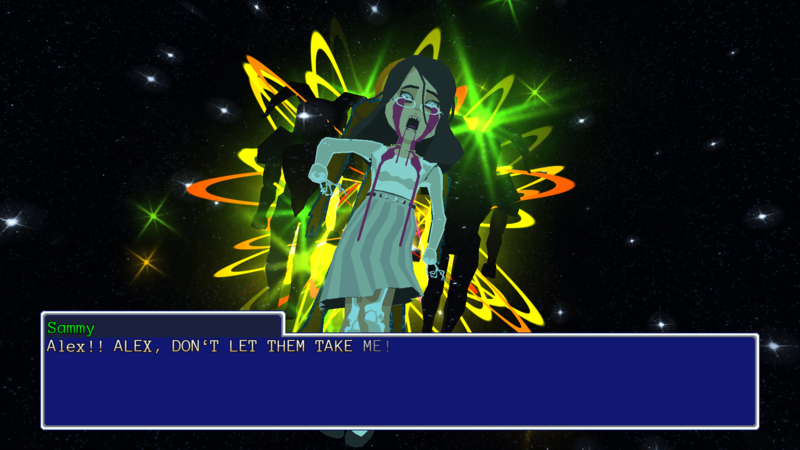 There, he finds a girl named Sammy Pak, who is suddenly taken away in an elevator by some strange entities. And thus, the strangest arises in New Jersey since Jay & Silent Bob went off to stop a couple of fallen angels from finding redemption. Alex manages to drag his curious friend Michael into the mess, who is all for finding out about the weirdest things happening around town. Their search for Sammy Pak leads them to a keytar-wielding badass named Vella, who not only has her own special powers at hand, but has full-on knowledge of the entities that are appearing in town. From there, the trio set out to uncover the mysteries that appear on the Creepypasta-like ONISM1999 message board, leading towards the whereabouts of Sammy and the occurrences happening around the town. But as one clue is uncovered, a plethora of questions appear to hinder their path. 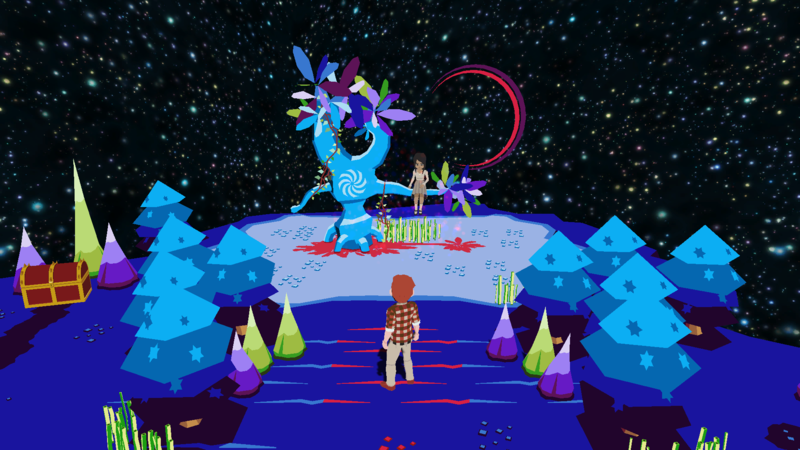 What makes YIIK: A Post-Modern RPG stand out from the other current role-playing titles is how it treats its time and surroundings with the greatest respect. From the vernacular of the characters to the sharpened PS1-styled graphics that the world is presented in, there's a very 1990s aesthetic to just about everything this game showcases. While that does mean that certain words and phrases are used that may be considered "politically incorrect" by today's standards, one must realize that this game captures the true nature of how people talked in that era. Yes, it's the "we didn't know any better back then" excuse, but the game would lose its authenticity if it were to clean up its language just so a couple of uptight individuals wouldn't get upset. 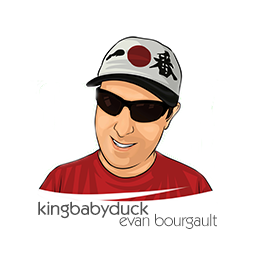 In a way, I get where this game comes from and what it seeks to do. Cleverly, it serves up a slice of nostalgic pie to both players who lived in this era and to those who have no idea what a song by Bush or Natalie Merchant may sound like. Taking place right when many people thought the world was going to end at midnight on New Year's Day, YIIK plays up the fears, anxieties, and conspiracy theories running amuck during this centurial transition. 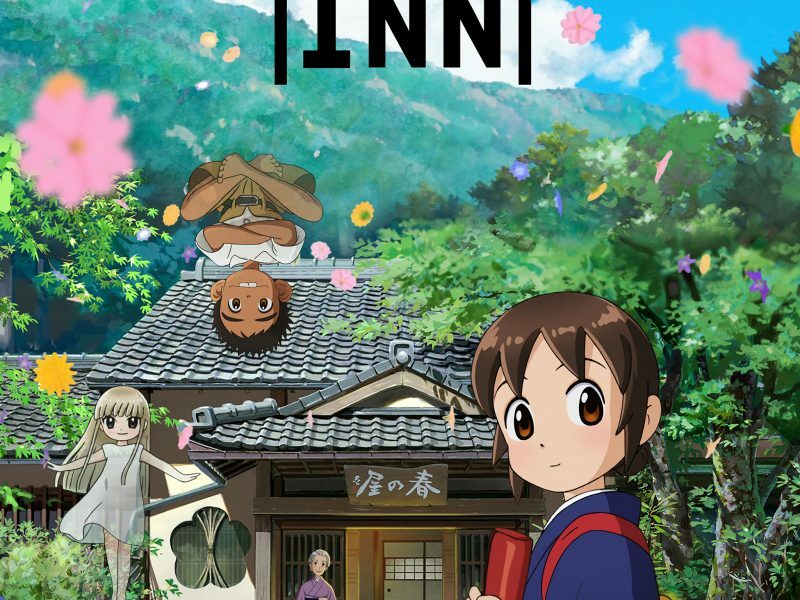 How it goes about doing that results in a story chock full of homages, deep character development, and strange undertakings. All of this while wearing the influence of Earthbound and similar RPGs on its sleeve, humorously showing gamers that its old-school aesthetics are all the rage now! And when it dives into the gameplay aspect, that's where YIIK: A Post-Modern RPG shows its meat. When a random battle pops up, Alex and the gang dive in and throw down with some fun mechanics. Alex uses a turntable; Michael's got a camera; Vella lays waste with a keytar; and Claudio has a blade that cuts foes down while he plays Hacky Sack. Via the usage of QuickTime Events, players will be able to charge up their power in hope to lay out a big hit on an enemy. The closer you get to hitting the sweet spot, the harder you'll lay your hit out. Players can also use various skills such as Panda Barrier, Bushido, and Snapshot to deliver extra damage, depending on how much magic power they may carry. At every 100 EXP, players will then be able to go into Alex's Mind Dungeon and level up their powers. Here, they can bring up their HP, magic, defense, luck, and speed to get stronger as the game progresses. Within the Mind Dungeon, players will also find themselves coming across a strange talking crow, who'll be playing the role of various folks from Alex's life before the game even started. These moments can be quite peculiar, but in a way, they're also pretty funny. As YIIK: A Post-Modern RPG goes deeper with its story, you soon discover the kind of people Alex, Michael, Vella, and the rest of the crew are. What's interesting about the way it's set up is how Alex is in no way your average RPG hero. Rather, he's perhaps the most flawed and unlikable character in the entire game, acting more for himself and focusing on his own issues than the massive world-ending problem that's occurring. However, as the game progresses, Alex realizes his situation and sets out to find redemption, even if it means saving the world via an impossible task. 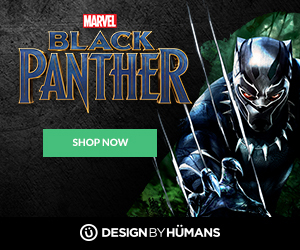 It's with the game's clever script and voice acting performance that keeps things relatable throughout its 45-hour runtime. Chris Niosi's take on Alex has a very Dante Hicks vibe coming from him, only here he finds himself wanting to go deeper to seek the truth rather than stay home and sleep off his stress. Melanie Ehrlich's Vella has a very Janeane Garofalo attitude, acting cool and being the literal know-it-all that she is. In the role of Michael, Clifford Chapin is more of the curious everyman that Alex isn't, presenting a level of fun and excitement whenever something strange occurs in town. 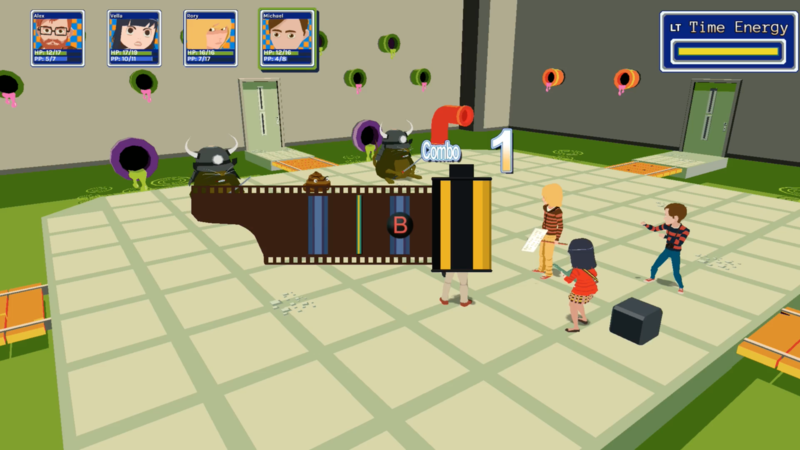 Graphically, YIIK: A Post-Modern RPG brings out a very PS1-era visual style, albeit with a slicker coat of paint around it. From the way a character runs through town to even the turn-based monster battles' presentation, everything about ACKK Studios' title is very much old-school in the best way possible. On-par with its visual style is the game's soundtrack, which features selections by Garoad, Andrew Allanson, Mike Maruyama, and Toby Fox just to a name a few. This eclectic team of composers create a sound that is true to the era of the nineties, from horn-filled ska numbers to Björk-inspired indie space pop melodies. All of this is wrapped up together into one beautiful package. 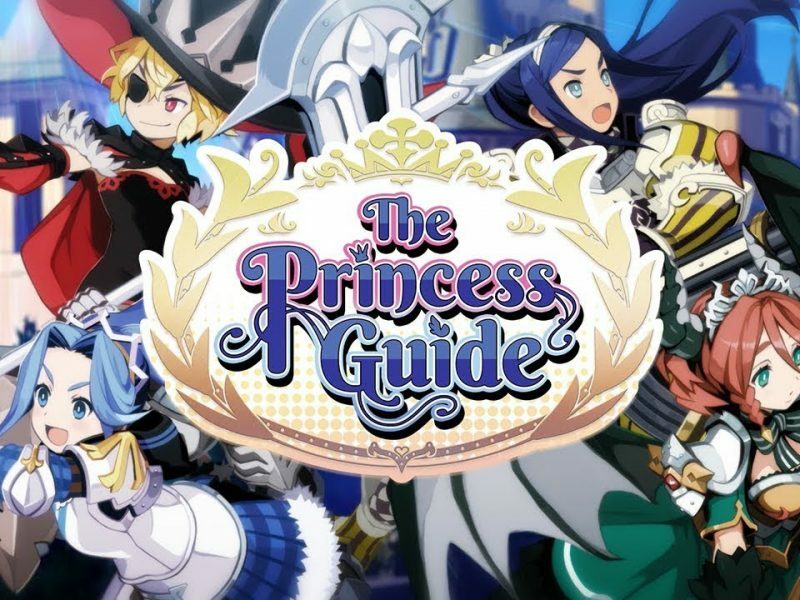 It takes elements of some of the greatest RPG games of the era, meshes it with a dark indie comedy attitude, and plops it on top of a powerful score and voice-acting performances. It is very hard to find something in ACKK Studios' latest title that feels off-putting or janky, giving way to an RPG experience that you won't find anywhere else on consoles or PC as of this writing. However, with that being said, YIIK: A Post-Modern RPG isn't exactly perfect. There are a couple of things that keep it from reaching the same pedestal of greatness as Final Fantasy VIII, Earthbound, and Ni No Kuni: Wrath of the White Witch. Many times while in a boss battle, I noticed a hiccup or two that would cause the game to quickly pause, thereby throwing off the combo pattern that I was using. Because of these bugs, I was forced to use up certain skills or items that I was hoping to save for harder boss battles in the long run. Speaking of bugs, there were also times when I couldn't interact with an item or door because its command wasn't showing up. Because of this, I often had to exit out of my game and restart it, which consumed enough of my time to deem it a nuisance. One final issue was how much the battles could drag on for too long. Until a certain character later on joined my ranks, I often found myself playing even the most minimal of monster battles at around the ten-minute mark, leaving a tedious feeling into what was happened on-screen. But despite these hiccups, the good that YIIK: A Post-Modern RPG showcases easily outweighs the bad. From start-to-finish, what I witnessed was a fun tribute to classic RPGs of old, while at the same time keeping true to much of the greatness the 90s had to offer me back when I was a kid. As someone who has been keeping a close eye on this game since playing its earliest demo at PAX East 2014 (and every PAX East since then), I can safely say that ACKK Studios delivers the vision it wholeheartedly wanted to give to its players with bright, flying colors. It's been a long production road for YIIK: A Post-Modern RPG, but the end results have been truly worth it. 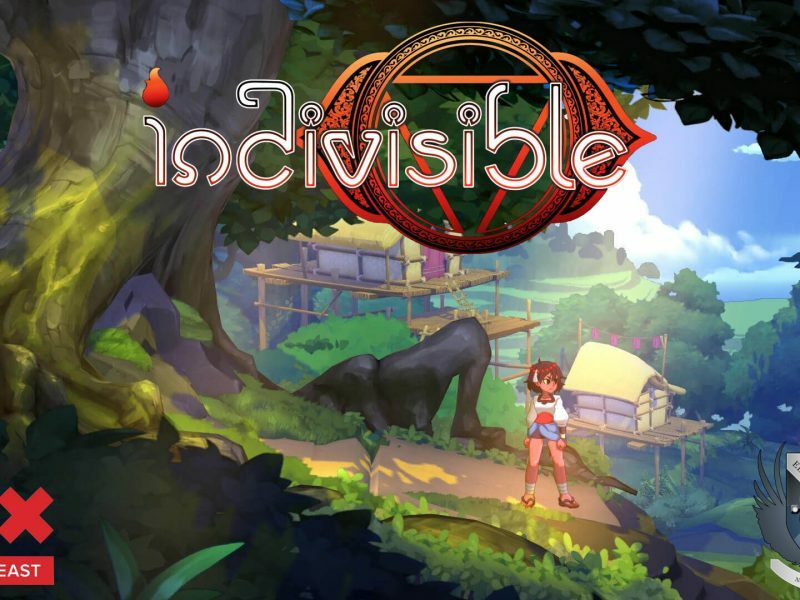 With its deep, philosophical story and QTE turn-based combat system, ACKK Studios gives players an adventure that stands out among the rest of the indie RPG crowd. 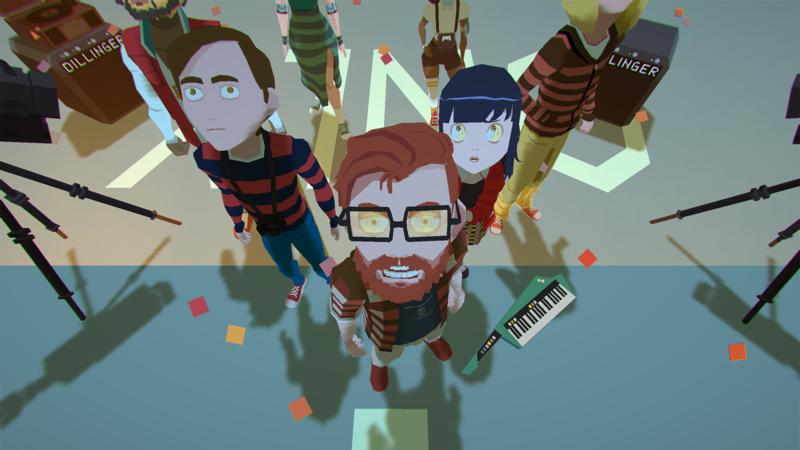 If Final Fantasy is the genre's Coachella, then YIIK: A Post-Modern RPG is its Bonnaroo. Promotional consideration provided by Veronica Stodolnik of Stride PR. Reviewed on the PS4.